Indeed: It's time for a meet-up of Scientist and the Mad Professor and that means nothing is the way it seems. 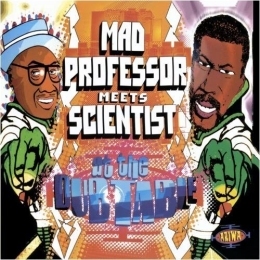 Both Scientist and the Mad Professor need no introduction, especially not for the lovers of DUB Music. King Tubby's protégée may never have been financially compensated for the many things he done behind the mixing board during the 1970's and onward, but that doesn't take away he did it nevertheless. The legendary Greensleeves series based on cartoon and early computer game characters, for example. The man who started Ariwa Studio's and did his part to keep DUB Alive with his Dub Me Crazy Series keeps on producing and touring the world with his DUB act. The totality of his releases is easily counted with three or perhaps even four figures. And so, when Scientist and the Mad Professor meet up at the Ariwa Studio's, the expectations are just very, very high. 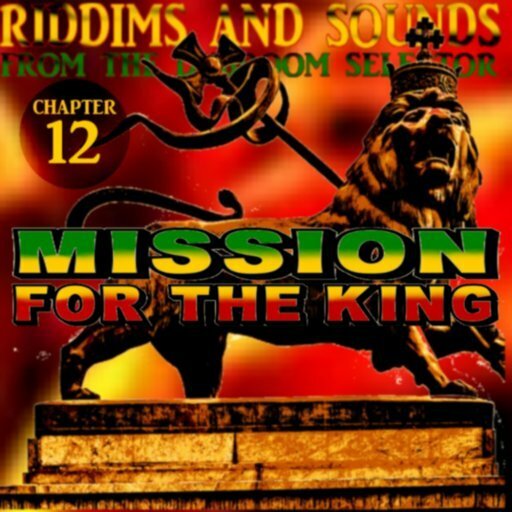 And then it might be a bit of a disappointment to discover that even though there are some precious gems on the album, a couple of riddims would rather fit in the category "Reggae Instrumentals". Lee Perry's voice is dubbed in and out, not a thing that everyone can apprecilove as well. Sure, snippets here and there, but there are longer parts and then just before you want to skip to the next tune, it's over. Some might love it, and others won't. 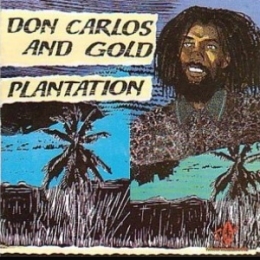 A nice album for those that would consider themselves avid collectors of DUB, but it doesn't meet up with the expectations one and ones might have when they see the two names. 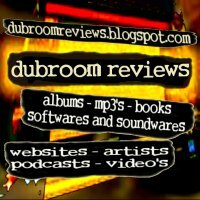 WWW, June 2009 - Brand New, Good For You: at least for us as listeners and searchers for the better online DUB. 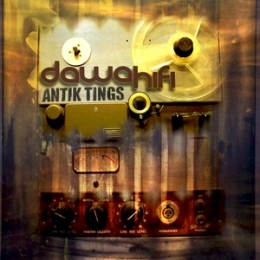 Antik Things refers to the fact that the five tracks on Dawa Hi-Fi's début EP are produced one or two years ago. Does it matter? The French label Original DUB Gathering, started by DUB Collective Ondubground, knows how to introduce artists to the online massive. 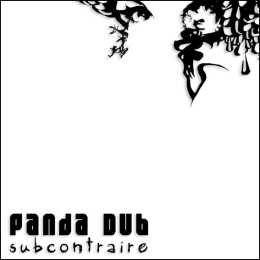 Too bad, the collective have not released any début album on their own label, but with Panda Dub and Dawa Hi-Fi they got some impressive material already. It's a French Interpretation of UK Dub, and the mix goes well. 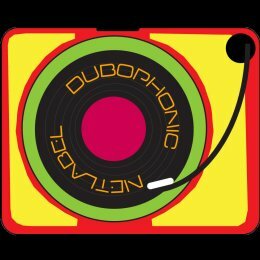 Dawa Hi-Fi love their steppers, they love to bring out the echo machine on top of some massive drum and basslines and that's just how we, the online DUB Massive, like it to be. Crucial and more than crucial as I would say! WWW, June 2009 - It's not just, that he is known for his original and creative DUB mixes. 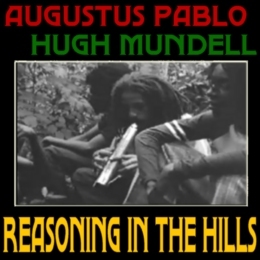 A thing, for which he stands at a lonely height when it comes to the Art of DUB. His originality includes original concepts, too. What about this 16 track collection of superb Dubs from original Lover's Rock tunes produced by Neil Fraser, aka Mad Professor, in his Ariwa Sound Studio's? 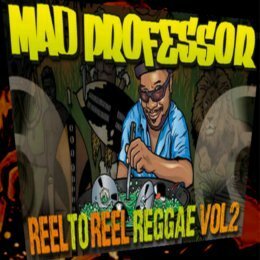 One would almost forget it: with the enormous flood of DUB albums coming from Mad Professor's Ariwa studio's, he also releases an equal amount of vocal albums in a wide variety of Reggae styles, and sometimes even beyond. His upfull Lover's Rock releases, for example. 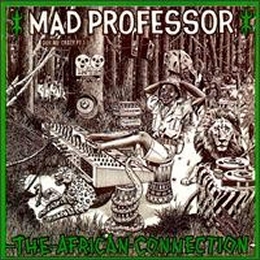 Sweetness galore, but how does this actually sound when Mad Professor creates some DUB mixes from several of his Lover's Rock riddims? Dub You Crazy With Love obviously gives the answer. 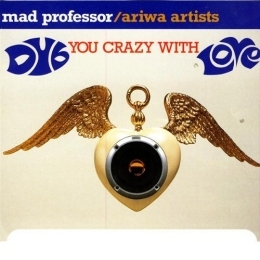 In 16 tracks, the Mad Professor creates a nice atmosphere that will definitely enhance the vibe when two people who love each other decide to be together for a while, without anyone watching. They could just decide to let it go, while the album plays. Arguably, without too much words, the Lover's Rock is getting into the Love Vibe even more. Do not expect too much spaced out and tripped out parts, do expect an easy chilled out time where some righteous loving is accompanied by some righteous dubbing in several senses of the word. 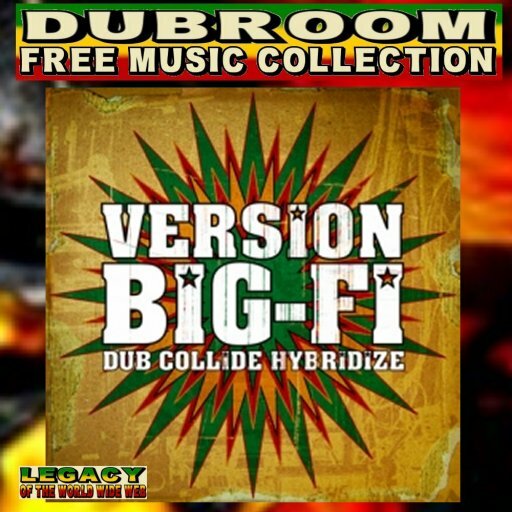 WWW, June 2009 - Another impressive DUB compilation by the French Original DUB Gathering Net Label. 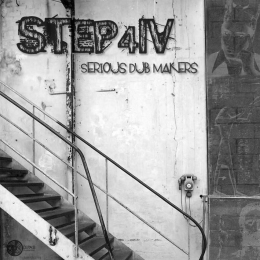 Ah, well, let's be more precise: the fourth episode of the Step 4 I series doesn't carry the subtitle "Serious Dub Makers" for nothing. 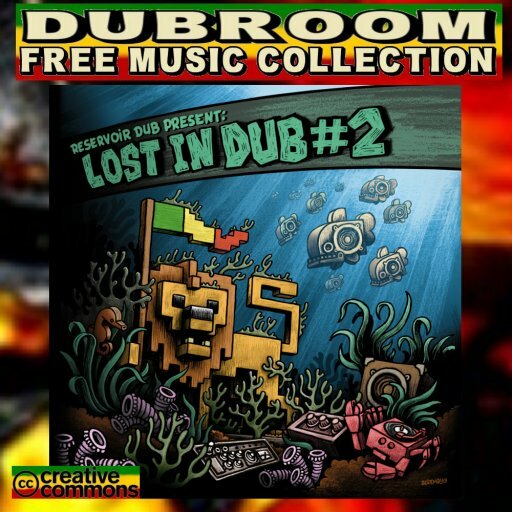 When you like DUB, especially UK DUB, you will simply not want to miss out on this great compilation. 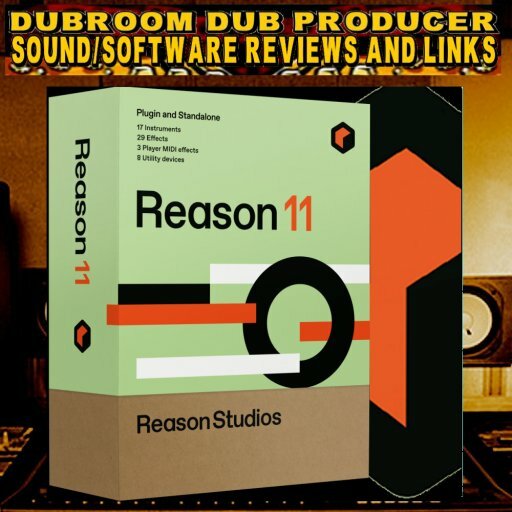 Twelve superb tracks, fitting well together and creating a DUB Vibe that is kind of really crucial. When you're into contemporary electronic DUB, that is. 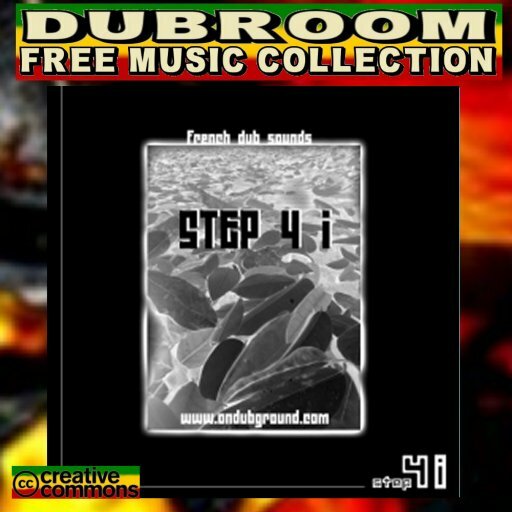 The versatility of the contemporary DUB producers becomes clear for those with ears to hear: definitely, productions by Serious DUB Makers, as the subtitle of part four in this more than interesting set of DUB compilations by the French Net Label indicates. 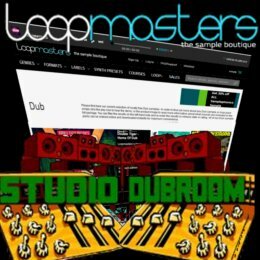 Twelve DUB tunes, free and legal, deep and high, a delight for the ear and sweet for the Soul of the DUB connoisseur. 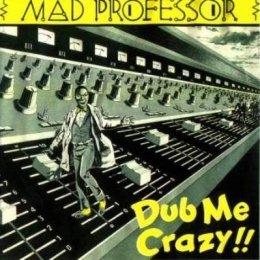 Throughout the 1980's, Mad Professor set the High Standards for DUB with his DUB ME CRAZY series which started in 1982. In times when the Jamaican studio's lost their interest and turned to Dancehall, Ariwa Sound kept on releasing one massive document of DUB after the other. This is the 7th chapter, catching up with the Mad Professor in 1987. 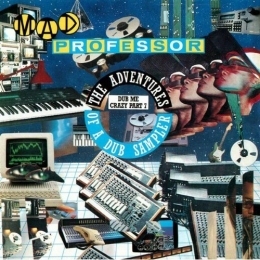 Mad Professor's first release in the DUB ME CRAZY series already sounded pretty digital. The year was 1982. Now, we're 5 years along the road and the Sound Sampler arrived in the Ariwa Studio's. A thing we'll really know after listening to the adventures of the DUB Sampler. We hear a fatter sound, and as more and more digital technologies arrive in Mad Professor's studio, we hear a combination of programmed and played material joining perfectly together in what the connoisseur definitely recognizes as the Ariwa Sound. 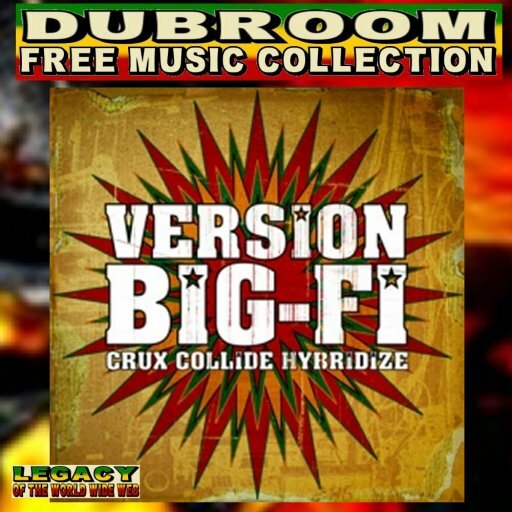 Fragments of vocals drop in and out as one Roots Reggae Riddim after the other comes into our ear and blesses us once again with what can only be described as another addition to the collection of every self-respecting collector of the better DUB. WWW, June 2009 - In part three of their excellent line of DUB compilations, the French based Original DUB Gathering goes outernational and gathers ten Ire DUB tunes from the Online DUB Underground. 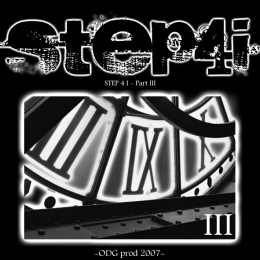 Opening with an Ire and Upfull track by Online DUB Artist Meef Chaloin, Step 4 I Part Three sets the vibe. It's about Ireness, and Reggae can provide some crucial Ireness. There's not much dubbing going on in that first track, neither in the second track. The music, however is nice and sweet. The third track brings a sudden change in the atmosphere. 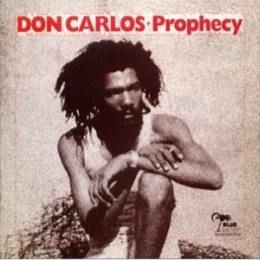 A whole host of samples, slowly a rhythm enters, the samples soaked in echo's: you thought there was no DUB going on? When the DUB Activist meets Dr. TomTom, the DUB goes deeper and the rhythm becomes more energetic. 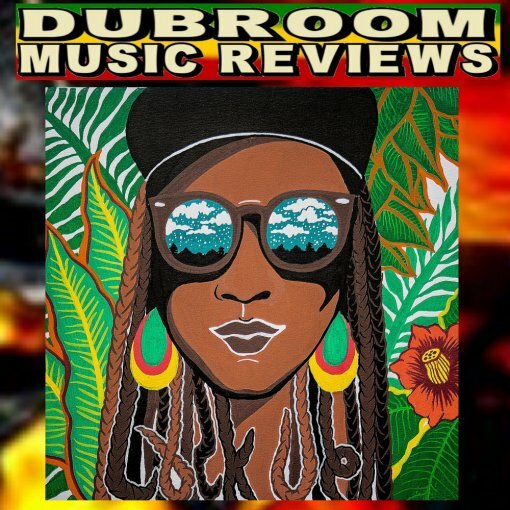 JAH Billah's contribution to this excellent compilation, a collaboration with Ngaumo, brings some more peaceful vibes back in an interesting combination of electronic and analogue effects. "Back To School" is another piece of Digital DUB Niceness. It's laid-back, has some interesting echoings and effects on the bass, where a rather odd placements of the chords completes the 6th track on the compilation. It's well placed before the explosion of digital sound we find in the tune after that. Which in it's turn is well placed before the energetic steppers by Barbes D and Toko Blaze. The mix of track number nine, simply entitled "Dub Plate Style", builds up rather slow. The title is well put: you can imagine someone chanting over the riddim. There's not much happening, nice sound though. 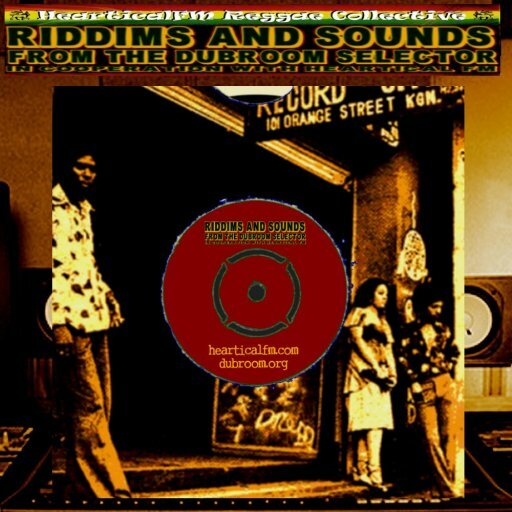 In closure of this first full-length compilation album by the Original DUB Gathering Net Label, we find a track by the founders, a French DUB Collective named Ondubground. 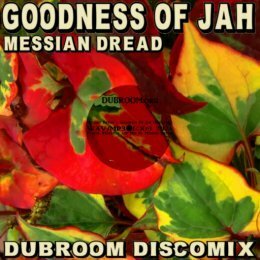 An upfull Dub with resemblances of the UK DUB act The Disciples here and there. 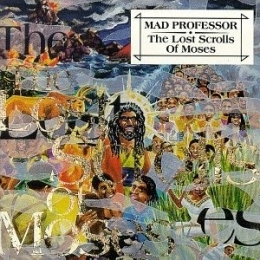 Mad Professor's more than excellent DUB series which started in the 1980's definitely opened up the Art of DUB to a wider audience while also putting himself among the small group of top DUB engineers. This is the original album that started it all: Dub Me Crazy Part One. Plus two bonus tracks, that is. 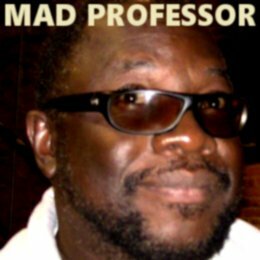 Mad Professor, it can not be said enough, is one of the most creative and innovative DUB engineers, and he is so for decades in a row. 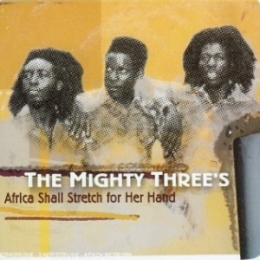 His Ariwa Studio may have released a lot of crucial vocal singles and albums, but unlike many Jamaican Studio's in the 1980's, Ariwa never lost interest in DUB. The DUB Me Crazy series definitely set the standard for DUB through-out the 1980's. It started in 1982 with this release. 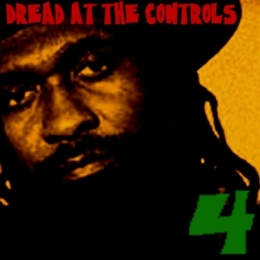 There are some serious DUB mixes on the album, which originally just contained 10 tracks due to the limitations on vinyl. This release has two bonus tracks, for some extra enjoyment. DUB Enjoyment to the max. 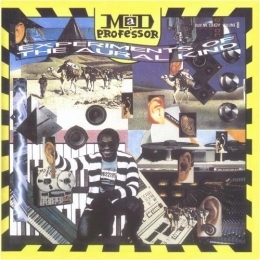 Mad Professor's superb DUB transformation of the excellent vocal parts which pop in throughout the entire album will take you into another Sound Dimension. The crucial work by the drummer and bass player are often the only points of reference as each and every effect device is utilized to the max. 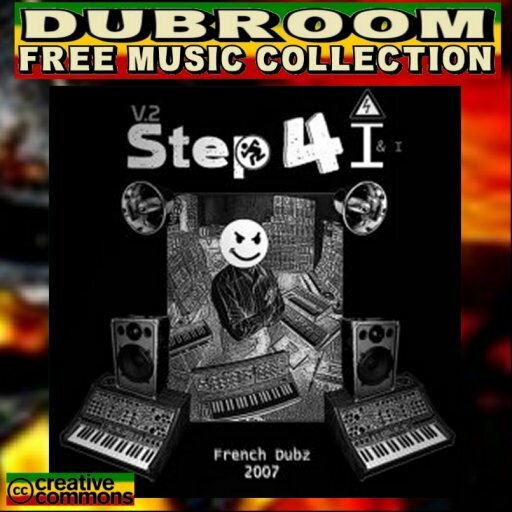 WWW, June 2009 - From France, With DUB: Four Massive Steppers in the second compilation EP from the Original DUB Gathering Net Label. Get ready for some serious Drum and Bass niceness in 21st Century Style! Truth be told: even though we're almost in the second decade of the new century, there are still people who claim that Digital Music cannot be, ah, well, eeh... music. This EP won't convince them otherwise, but they will be missing out on some serious good vibrations. Clearly inspired by UK DUB Acts like the Disciples, the French Label Original DUB Gathering knows how to find the right DUB acts in the country of France. 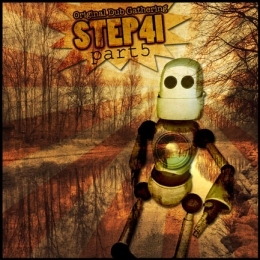 Good Drum programming, crucial basslines and penetrating echoings galore! 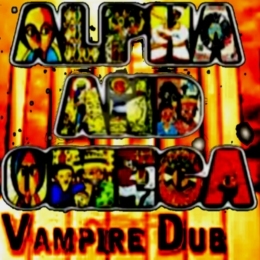 WWW, June 2009 - A hard stepping drums with a monotonous bassdrum, mixed skillfully with other instruments in a genuine Alpha and Omega DUB style: that can't go wrong! They've managed to stay on top of the UK DUB scene with their own distinguished sound: the bass often goes deeper than other bassists play their stringed instrument, and whoever joins the dynamic UK DUB Duo in their projects comes out in a different style. In this particular tune, Dan I and King Kietu join Alpha and Omega in yet another great video production as well. The video's give an extra dimension to the music as they give a visible interpretation of the Dub.